We believe great leadership is not reserved to a select few. If you are willing to put in the work, Air Force ROTC gives you the tools to become a strong leader. What you gain here—communications skills, confidence, and quick problem solving, to name a few—will benefit you no matter where you go after college. Your ability to handle huge, complex projects and lead others makes you an ideal candidate for any career you choose. At the core of your development is Leadership Lab, a cadet-organized and operated class. For two hours each week, you’ll focus on building interpersonal leadership, real-time problem solving and decision making, and confidence and public speaking—all skills required for success in the Air Force and beyond. Coming in as a freshman I was super shy and wouldn’t talk to anyone. 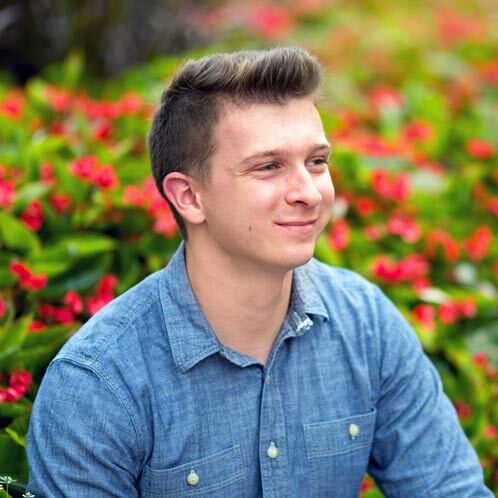 I got opportunities to take charge in Leadership Lab, and now, four years later, I’m way more comfortable and confident thanks to those opportunities. The cadet career is path is designed to prepare you not only to serve in the Air Force, but also to succeed anywhere you go in life. 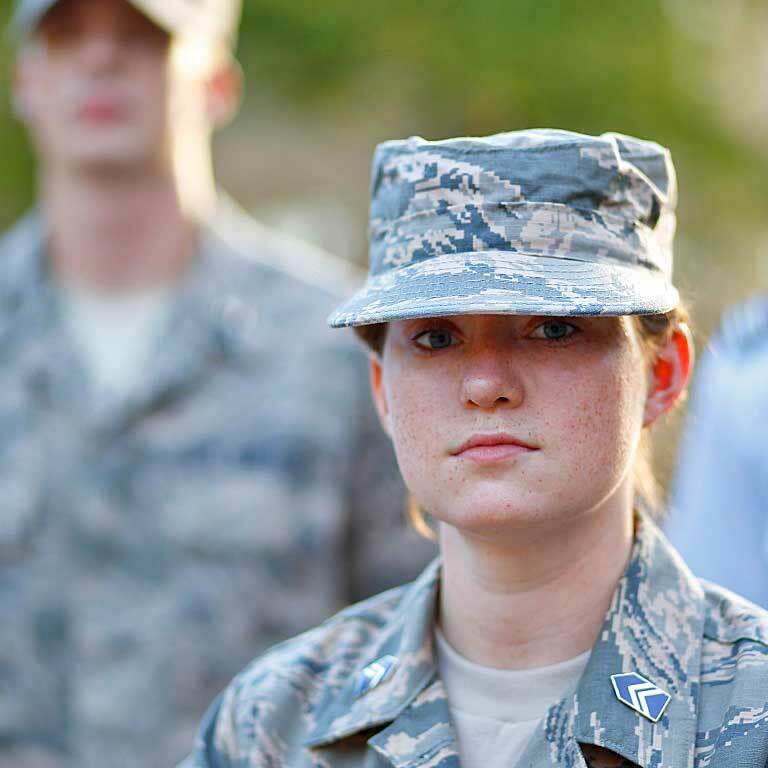 Depending on when you join Air Force ROTC, your cadet career path will be tailored so that you complete program requirements in the time you have available. GMC introduces you to military life and focuses on communications skills. This time (one to two years) is also an opportunity to try the program without obligation. Complete Aerospace Studies courses 101 and 102, learning the structure and missions of Air Force organizations, officership, and professionalism. Receive mentorship and guidance from AS300 and AS400 cadets in Leadership Lab. Study for the Air Force Officer Qualifying Test (AFOQT). Compete for in-college scholarships during spring semester (if you have not received an Air Force ROTC scholarship). Complete the Department of Defense Medical Examination Review Board (DODMERB) medical exam (if you did not already during high school). Complete Aerospace Studies courses 201 and 202, learning the history of manned flight and the development of aerospace power in the United States, including the employment of air power in WWI, WWII, Korea, Vietnam, and the Gulf War. Choose the rated or nonrated track. Rated jobs are those typically performed in airplanes such as pilot, navigator, and air battle manager. 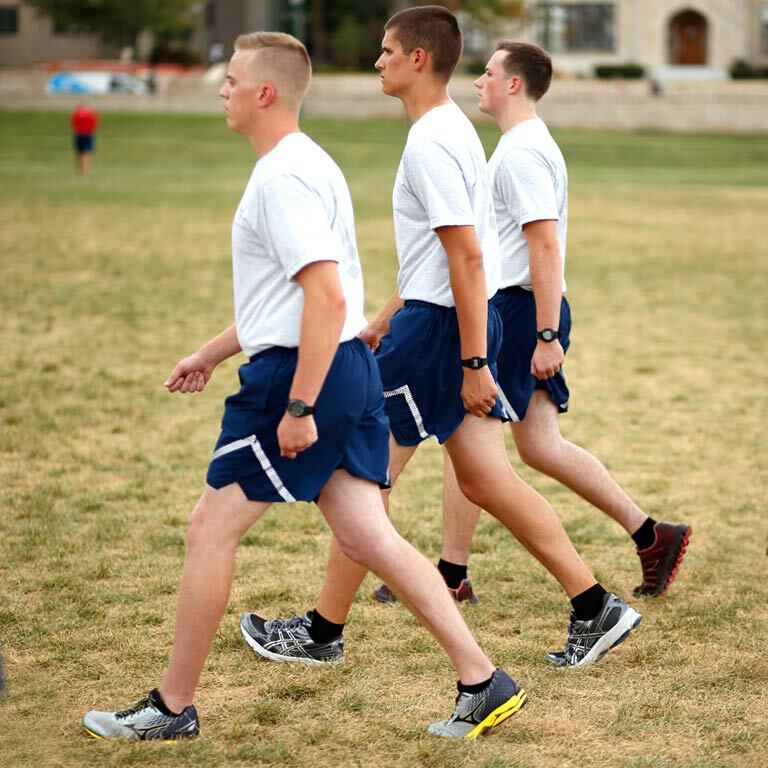 Field training is a mandatory program for all individuals who want to continue Air Force ROTC. Cadets usually attend field training during the summer between their sophomore and junior years. This rigorous program involves physical conditioning, weapons training, and survival training. Field training offers you the opportunity to develop your skills as both a leader and team member. Field training forced me to come out of my shell. I’m a lot better of a leader and more outspoken because of it. Move up to POC after completing GMC and field training. This part of the program is designed to simulate an Air Force flight, and each POC cadet assumes a leadership role in the wing. Complete Aerospace Studies courses 301 and 302, learning the anatomy and importance of quality leadership and management, the role of discipline in leadership situations, and the variables that affect leadership. Get assigned job positions to lead and train other cadets. Work with the cadre to submit requests for U.S. Air Force job selection and base location. Complete Aerospace Studies courses 401 and 402, learning the role of a professional military leader in a democratic society and societal attitudes toward the armed forces. Help plan and manage the entire 215 Cadet Wing. Receive your U.S. Air Force job selection and first base location (unless completing an Air Force-approved, five-year degree program). 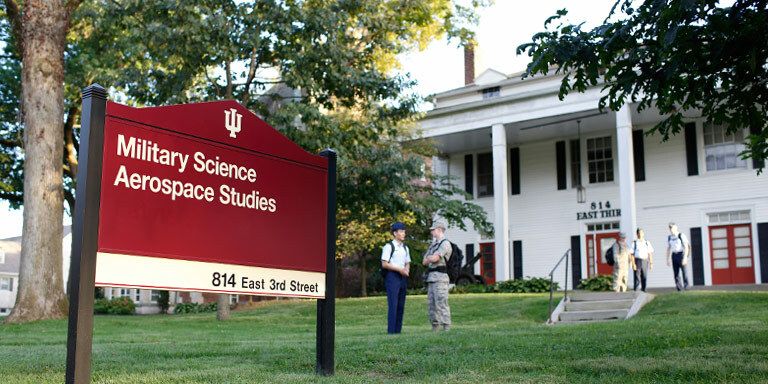 Typically cadets will be notified during fall semester of senior year, but those in rated categories (including pilots) find out spring semester of junior year. Learn more about and prepare for active duty. After fulfilling your IU degree and the Air Force ROTC requirements, you'll graduate and receive your Air Force commission. You will be commissioned during a special ceremony normally held the day after IU graduation. You can expect to enter active duty anywhere from a few days to a couple of months after graduation and commission. You may request an educational delay if you desire to attend graduate school at your own expense before going on active duty. If approved, the Air Force will postpone your active-duty tour. Delays are routinely provided if you select to attend dental or medical school. 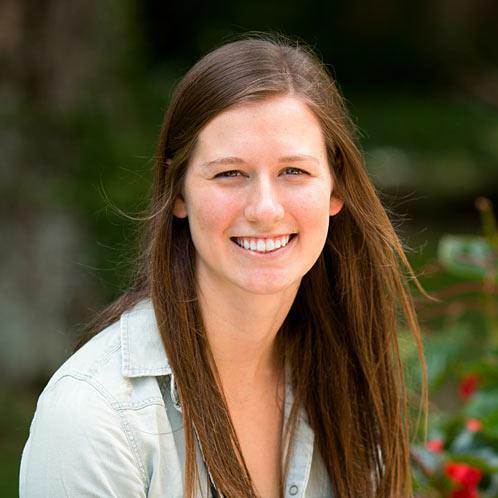 Scholarships also exist for students accepted to medical school. None of us were saints. Far from it. We just refused to believe that the line between right and wrong is hard to see. People always know the right thing to do. But they hesitate because they think of themselves. The things we did, we did because we cared more about duty than glory. We cared more about getting it done than getting a medal. What were we going to do—let somebody else do our job? Because it was hard? We want you to fly this jet through the sound barrier.Yes, sir! We need to you jump out of a balloon in outer space, to see if a human can survive the fall.Yes, sir! We need you to fly a bomber from an aircraft carrier for a raid on Tokyo. And you probably won’t come back.Yes, sir! Selflessness only means something when you have something to give. Airmen, you have so much inside you, you have no idea. You will think of your mission, and you will think of your country. And you will not hesitate. Some people think we’re trained so that we don’t think. We just react. In the Air Force, we’re just trained to think faster. We are required to think at three times the speed of sound. A hundred billion terabytes come at you in a nanosecond. And three hundred million American heartbeats are waiting and wondering what you are going to do to keep them safe. Right now.